Web based application ,ERP Software Pune ,Payroll Software Pune, Web based applications are the ultimate way to take advantage of today's technology to enhance your organizations productivity & efficiency. Web based application gives you an opportunity to access your business information from anywhere in the world at anytime. It also facilitates you to save time & money and improve the interactivity with your customers and partners. It allow your administration staff to work from any location and sales staff to access information remotely 24 hours a day, 7 days a week. 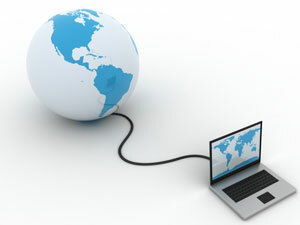 With a computer connected to the Internet, a web browser and the right user name and password you can access the systems from any location. Web-based applications are easy to use and can be implemented without interrupting your existing work process. Whether you need a content managed solution or an e-commerce system, we can develop a customized web application that fulfills your business requirements. The web based software that Netsity creates, enables you to interact with the application and data in a fluid and highly responsive manner. Our designers and multimedia experts ensure that your solution gives you an edge over your competitors.